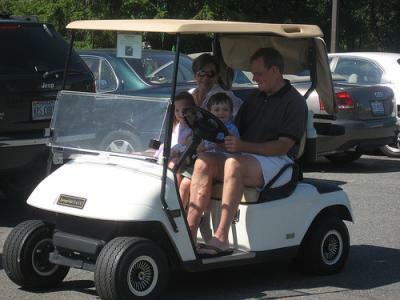 Golf Cart Battery Charging: Keep Them Topped Up? How many rounds of 18 holes of golf before the golf cart batteries need recharging? Is is best to discharge the batteries deeply or recharge after every round? I can get at least 3 rounds of 18 holes now before needing to recharge. These batteries are brand new; only 3 rounds so far. You didn't say what battery chemistry you've got, but if they're the typical lead acid golf cart battery, recharge them every chance you get. They like to stay topped up. Will it hurt my golf cart batteries if I short charge them? I have an electric golf cart and I usually charge it only when it's low, but I wonder if it wouldn't be ok to short charge (top off the charge) like an automobile does on short trips to it's batteries. Is this OK? It's not just okay, it's best. Your golf cart's batteries prefer to be topped up and fully charged. "Lead batteries should not be taken down below 50% depth of discharge," says Mike Collier at Lithium Storage. Running down the battery each time is the right thing to do with certain battery chemistries that build up "memory" (NiCd), but that's not lead or lithium, the usual EV battery types. Your golf cart's probably got an onboard "smart charger", so for longest battery life, you can just leave it plugged in anytime you're not driving it! When is Best to Recharge EV Batteries? Is it better to recharge frequently after each use or to wait till the charge is low? That depends on the batteries you have in your electric vehicle. Lead acid batteries prefer to stay topped up. Lithium batteries also prefer to stay topped up. "Smart" batteries, according to "Battery University", can benefit from a full charge/discharge cycle every so often - but this is only so the state of charge meter is more accurate. It doesn't affect the actual charge the battery will take. The only battery chemistry that will build up a memory over time if not fully discharged occasionally is Ni-Cd. 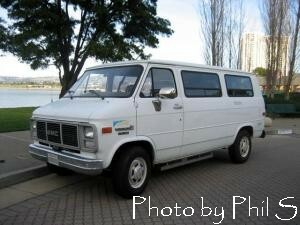 I recently purchased a fully original operational GMC electric G Van. They produced over 600 of them. It is powered by a 60 Hp Nelco motor. Has two additional smaller electric motors and controllers that power the power steering and A/C. It is in surprising condition. Alas, my question: The original flooded nickel cadmium batteries were expended so I must install 38 new batteries. I read your piece on batteries so I am leaning toward the T-105's. My power requirements are 8000 amp hours at 216 volts for a range of 70 miles. Given that the vehicle weighs in at 8000 lbs that is really good mileage. Is opportunity charging a reasonable option for lead acid or will it damage the cells? As to your question, the lead batteries you're proposing to put into your electric vehicle will do just fine with opportunity charging - in fact, they prefer to stay topped up as much as possible. If your Electric G Van is configured the same way that this one on the EV Photo Album is, then the charger is capable of switching charging algorithms from the nickel cadmium setting back to lead acid battery charging.